Expert massage therapists providing clinical services related to healing, repairing, and restoring physical function and ease as well as preventing future problems. 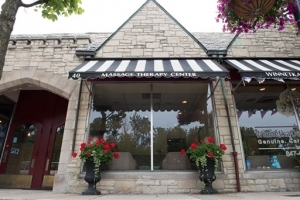 Massage Therapy Center of Winnetka was founded in 1989 by our director, John G. Louis, LMT, a licensed massage therapist, inventor and athletic trainer. Since that time, he and his staff of massage therapists have provided expert clinical services related to healing, repairing, and restoring physical function and ease as well as preventing future problems. Our team of massage therapists have won numerous awards within the community for excellence in massage and are proud of our record. We hire only highly-experienced massage therapists with advanced training who do what they love and do best – heal. Many of our massage therapy specialists have been with us for over 10 years. Even more remarkable is the fact that some of our clients have been with us since the beginning over two decades ago. We welcome your feedback. If there is anything we can do to make your experience more comfortable, please let us know.